Knockadon: 52 acre, 23 unit development on Meyers Lake Ave, Rockford MI. Work included clearing and grubbing, site balancing, storm sewer and paved road construction. 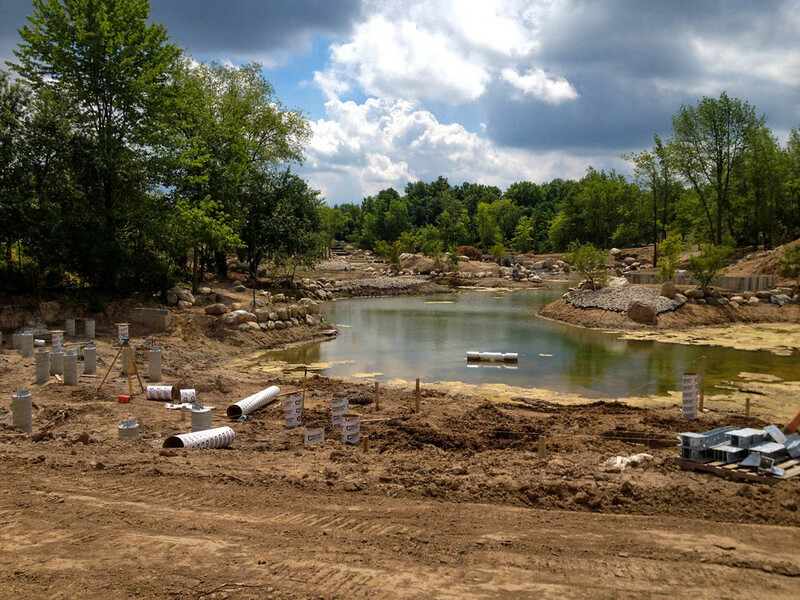 Fredrick Meijer Gardens: Dean’s had the opportunity to work with Fredrick Meijer Gardens on the new Japanese Garden. Work included clearing grubbing earthwork, pond construction, and site utilities. Dean’s was also able to work with Kurisu International aiding them in many aspects of their work. Meijer, Solon Twp. : When Meijer, Inc. was ready to move a store back to the Cedar Springs area, Dean's was there to help. Dean's completed all three site work packages which included: Complete earth balancing and seeding of the site. Storm sewer main and laterals, water main, and sanitary main with laterals. Parking lot and drive construction including widening of M-46 to 5 lanes in cooperation with MDOT. Dean’s offered an alternate of recycled concrete in lieu of natural aggregate on the drive and parking area’s helping toward the builders “green” designation. Meijer, Inc. comes back to the Cedar Springs area.